(This text is reproduced from "Revisiting the No Kill Equation" (Winograd, 2009)). Two decades ago, the concept of a No Kill community was little more than a dream. Today, it is a reality in many cities and counties nationwide and the numbers continue to grow. And the first step is a decision, a commitment to reject kill-oriented ways of doing business. No Kill starts as an act of will. The next step involves putting in place the infrastructure to save lives. Following a commitment to No Kill is the need for accountability. Accountability means having clear definitions, a lifesaving plan, and protocols and procedures oriented toward preserving life. But accountability also allows, indeed requires, flexibility. Too many shelters lose sight of this principle, staying rigid with shelter protocols, believing these are engraved in stone. They are not. Protocols are important because they ensure accountability from staff. But protocols without flexibility can have the opposite effect: stifling innovation, causing lives to be needlessly lost, and allowing shelter employees who fail to save lives to hide behind a paper trail. The decision to end an animal’s life is an extremely serious one, and should always be treated as such. No matter how many animals a shelter kills, each and every animal is an individual, and each deserves individual consideration. And finally, to meet the challenge that No Kill entails, shelter leadership needs to get the community excited, to energize people for the task at hand. By working with people, implementing lifesaving programs, and treating each life as precious, a shelter can transform a community. Many communities throughout the United States are embracing Trap-Neuter-Release programs (TNR) to improve animal welfare, reduce death rates, and meet obligations to public welfare. Low-cost, high-volume spay/neuter will quickly lead to fewer animals entering the shelter system, allowing more resources to be allocated toward saving lives. An adoption or transfer to a rescue group frees up scarce cage and kennel space, reduces expenses for feeding, cleaning, killing, and improves a community’s rate of lifesaving. In an environment of millions of dogs and cats killed in shelters annually, rare is the circumstance in which a rescue group should be denied an animal. Volunteer foster care is crucial to No Kill. Without it, saving lives is compromised. It is a low cost, and often no cost, way of increasing a shelter’s capacity, improving public relations, increasing a shelter’s public image, rehabilitating sick and injured or behaviorally challenged animals, and saving lives. Adoptions are vital to an agency’s lifesaving mission. The quantity and quality of shelter adoptions is in shelter management’s hands, making lifesaving a direct function of shelter policies and practice. If shelters better promoted their animals and had adoption programs responsive to the needs of the community, including public access hours for working people, offsite adoptions, adoption incentives, and effective marketing, they could increase the number of homes available and replace killing with adoptions. Contrary to conventional wisdom, shelters can adopt their way out of killing. While some of the reasons animals are surrendered to shelters are unavoidable, others can be prevented—but only if shelters are willing to work with people to help them solve their problems. Saving animals requires communities to develop innovative strategies for keeping people and their companion animals together. And the more a community sees its shelters as a place to turn for advice and assistance, the easier this job will be. Increasing adoptions, maximizing donations, recruiting volunteers and partnering with community agencies comes down to one thing: increasing the shelter’s public exposure. And that means consistent marketing and public relations. 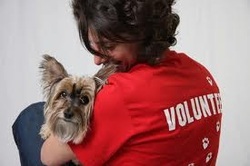 Public relations and marketing are the foundation of all a shelter’s activities and their success. To do all these things well, the shelter must be in the public eye. It is clear that No Kill is simply not achievable without rigorous implementation of each and every one of these programs and services. These programs provide the only model which has ever created No Kill communities. It is up to us in the humane movement to demand them of our local shelters, and no longer to settle for the illusory excuses and smokescreens that shelters often put up in order to avoid implementing them.